Methi Khakhra chips Khakhra is a staple ingredient of every Rajasthani and Gujarati household. Khakhra is made from wheat and spices. Here at Sattviko, we bring this delicious Khakhra by sourcing those ingredients naturally and combining them with delicious flavors. 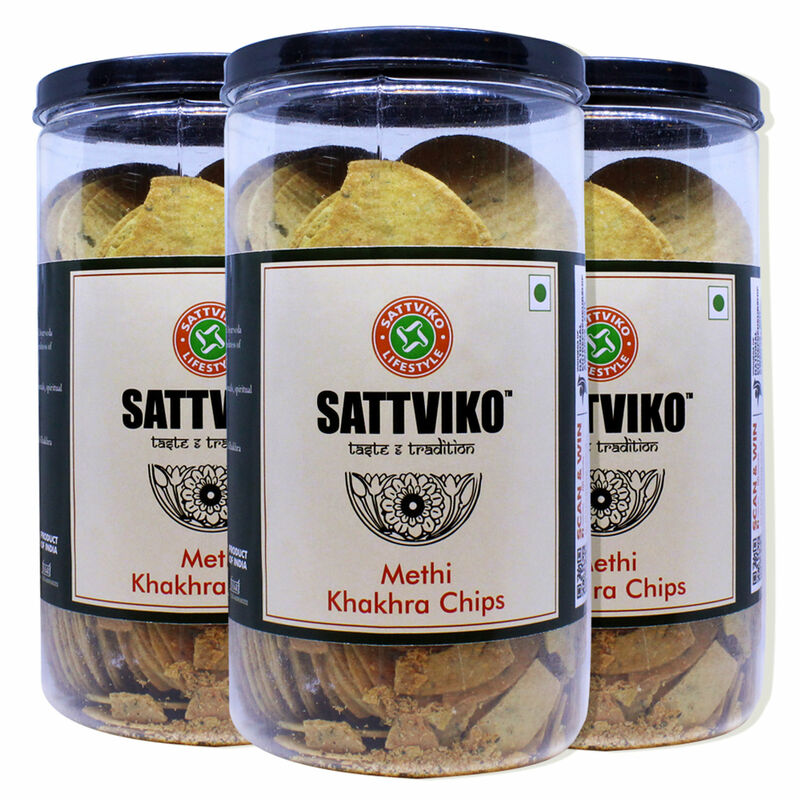 Sattviko has given the desi snack a twist and a healthy option for snack time. Methi is best known for its digestive qualities, and a touch of spice for flavor makes a great snack. Enjoy this yummy khakra with a desi twist.